Always Tired? It’s Time For An Energy Boost! 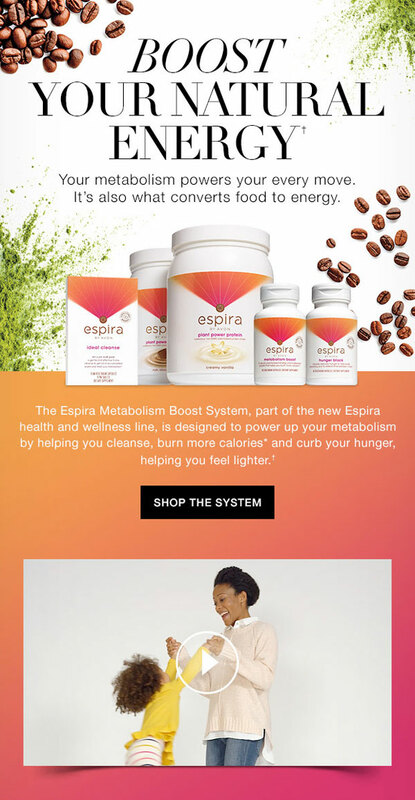 Boost your natural energy with Avon Espira Health and Wellness Boost System. A healthier, revitalized you in 30 days. Designed to power up your metabolism and help you cleanse, burn more calories* and curb your hunger, helping you feel lighter.† Gluten-free. When you have natural energy, you thrive. And we’re not talking about the artificial kick you get from a cup of coffee or sugar rush—this is vitality that comes from within. Experience a different kind of energy that will fuel you through the day without letting you down. * With reduced dietary intake and exercise. Individual results will vary. SALE! Anew Clinical Line Eraser with Retinol Treatment – For a limited time only, Avon’s line eraser treatment with Retinol is on SALE for $22.99. Shop Now! In morning and evening, apply to cleansed face and neck. Some individuals may not be comfortable using this product. Try using more sparingly or less frequently until your skin accommodates. Follow with your Anew moisturizer. 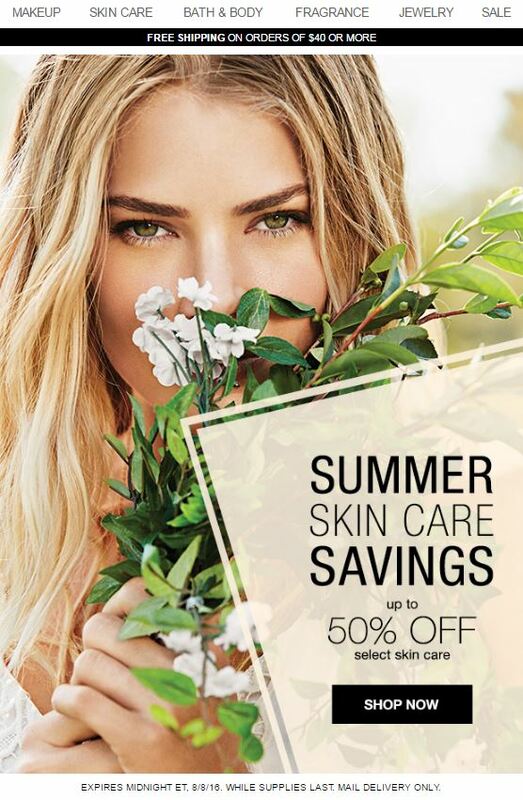 Save up to 50% OFF select Avon skin care products with Avon Summer Skin Care Savings. Check out just a few of Avon’s Skin Care Products! 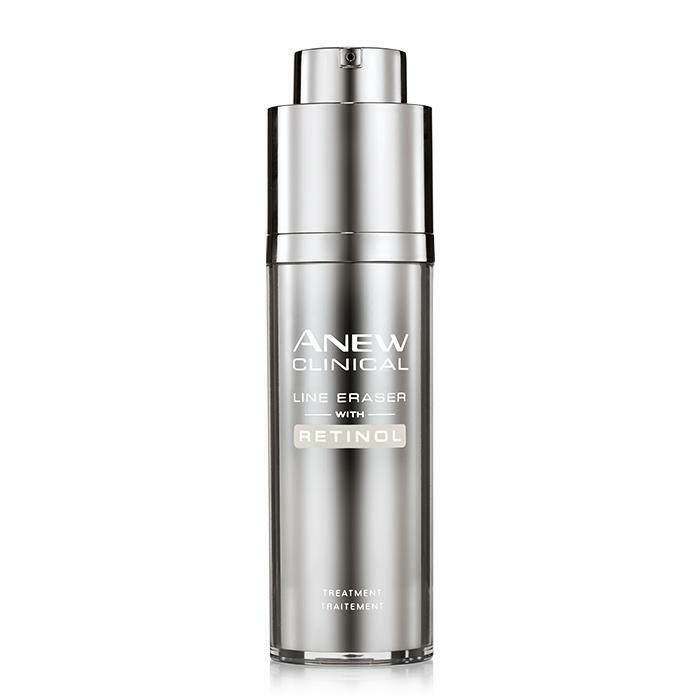 Anew Clinical Thermafirm Face Lifting Cream gives you your desired results fast. In as few as 3 days, your skin looks tighter, firmer, and more lifted. Clinical Thermafirm contains a special formula of ultrasonically stressed yeast, hydrolyzed plant protein, and natural extracts intended to visibly tighten, lift, and firm your skin. Add this face lifting cream to your anti-aging skin care regimen and see these results. Comes in a 1 fl. oz. jar. The first step in your daily acne-fighting routine! This cooling scrub is designed to treat every stage of your blemish from start to finish. Quickly dissolves pore-clogging dirt and oil, leaving your skin clean and healthy-looking. Contains our exclusive Oil Control System. Exfoliates pores; leaves skin feeling cool, clean and healthier-looking. Use in the morning/evening. Apply product to wet hands and rub well over entire face. Rinse well with water until all traces of cleanser are removed. Discount offer valid for mail delivery orders only, and expires at midnight, 08/08/2016. Order must meet specified offer criteria to qualify. No adjustments to prior purchases. Stock up with the Avon Summer Sale! Get your favorite Avon Beauty Products up to 60% off. Now is the perfect time to stock up and save. This sale expires at Midnight ET, June 13, 2016 and is valid for Direct Delivery Only. Here are just a few examples. Have you ever wanted to rewind the clock and erase wrinkles and lines for that truly youthful look? 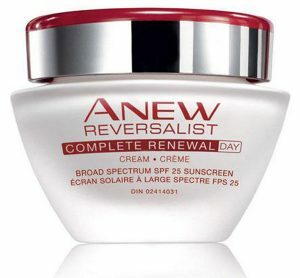 Now you can with Anew Reversalist! Support your anti-aging routine with the Anew Reversalist Complete Renewal Day Cream. This Elastix technology breathes life into your skin to return firmness and smoothness. This hydrating day cream moisturizes skin and contains Broad Spectrum SPF 25 to protect skin from the sun’s harmful rays. 93% of women agreed skin looks naturally line-free in just 1 week. Be sure to add this 1.7 oz jar of day cream to your facial skin care routine. A simple statement of sheer poetry. 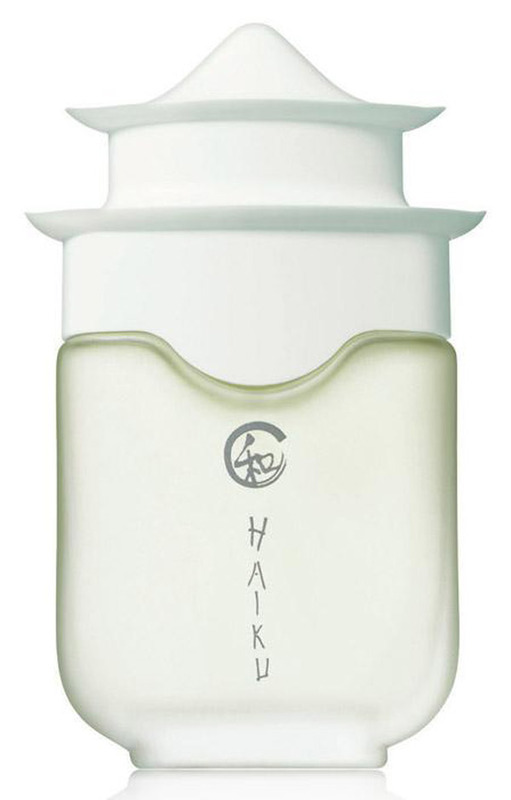 The Haiku Eau de Parfum Spray is a scent as timeless as your beauty. A quick spray of this floral perfume and you’re transported to a beautiful Japanese garden in full bloom. Fresh fragrance perfect for daily use. 1.7 fl oz. 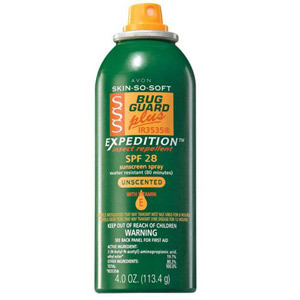 IR3535 – ingredient that provides repellency against a broad range of biting insects, including mosquitoes, deer ticks, black flies, gnats, no-seeums and biting midges. Apply evenly before sun and insect exposure. To apply to face, spray palm of hand and rub on. An adult must apply this product to children under 10. Avon Makeup Sale C14 2016 – Avon has a great sale on Makeup this campaign. 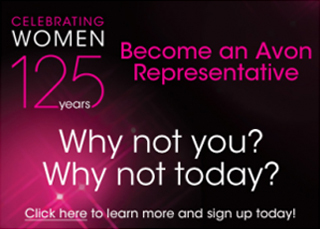 Click Here to go to my Avon eStore and start SAVING! New summer shades! 7 benefits in one little bottle! Get the best at home gel nails with Avon Gel Finish 7-in-1 Nail Enamel. This high-shine mani not only looks great but is healthy for your nails. Forget destroying your nails will salon gel-manicures. Comes in a .4 fl. oz. bottle. Avon Gel Finish protects and strengthens your nails, while making them look great with vivid color choices. This gel-like mani dries super shiny and doesn’t even need a top coat!